want to know 'mors' about us? Bob is owner and therapist at MORS. He has been working as a Physical Therapist since 1999, and as a Fitness Specialist/owner of Functional Strength Training since 1993. His credentials include degrees from University of Michigan (Masters in Physical Therapy), and Michigan State University (Bachelors in Exercise Science). He also has specialty certifications from the American Physical Therapy Association, National Strength & Conditioning Association, National Academy of Sports Medicine; as well as various others in the field of rehabilitation, performance enhancement, and fitness. Tracy is senior Physical Therapist at MORS. She graduated from the University of Michigan with her Doctorate in PT, and Michigan State University with a Bachelors in Kinesiology. Since becoming a PT, Tracy has pursued higher education in Functional Exercise and Evaluation; and manual techniques including Mulligan Concept, Kinesiotaping, Dry Needling, and Muscle Energy Technique. Something you may not know about Tracy: Tracy and her husband love to travel, and have been to Vietnam, Belize, Spain, Germany, Belgium, Netherlands, and Guatemala. Dawn is the Office Manager at MORS. Her job is to run the show and to make everyone's day better! She has managed Physical Therapy offices since 1999. Tara is a Physical Therapy Assistant at MORS. She graduated from Baker College with her PTA degree in 2003. She has also been a certified massage therapist since 1990. Tara is certified in Graston Technique and Tai Chi Fundamentals, and has advanced education in Functional Exercise. Something you may not know about Tara: Tara and her husband raise honeybees and harvest their own honey. Kaitlyn is a senior PT Tech at MORS. She graduated from Michigan State University with a Bachelors degree in Kinesiology. In addition to her tech duties, Kaitlyn also does personal training and group fitness at our Funstrength location in Wixom, and is certified as a Fascial Stretch Therapist. Something you may not know about Kaitlyn: Kaitlyn has competed in Powerlifting, and has achieved a lifting total of 790 lbs (358 Deadlift, 292 Squat, 140 Bench-Press). She has also been a camp director at Camp Kesem, benefitting children of parents with terminal cancer. Johanna is a PT Tech at MORS, as well as the behind the scenes girl who deals with stuff noone else wants to! In addition to being a tech, Johanna manages our Medical Fitness program, and performs Personal Training at our Funstrength Gym location in Wixom. *Posted from April 2017 LEX ARTIS Crossfit 'Rookie Rumble' partner competition. Hannah is our newest member to the #GETAWESOME team. 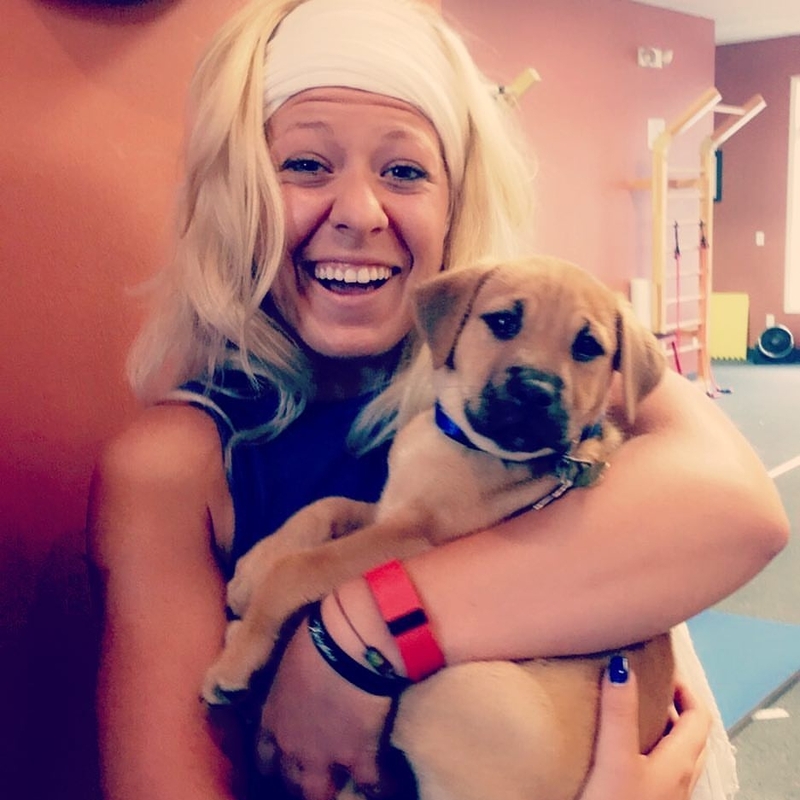 After interning with us through Grand Valley State University, Hannah graduated in 2017 with a Bachelors degree in Clinical Exercise Science with a minor in Psychology. You will see Hannah at both the clinic and/or the gym (personal training). Something you may not know about Hannah: Hannah was a dancer for 16 years of her life! Tap, ballet, jazz, pointe, modern AND named Miss Dance of Michigan in 2012.